It may not seem like the most useful trait for a rugby player, but the smile spread across the face of Team USA Jillion Potter has not wavered since picking up the sport at University of New Mexico. 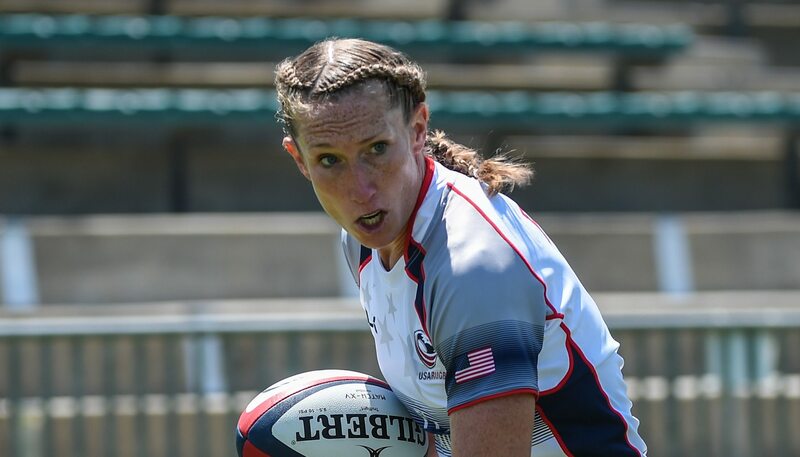 At 5-foot-10, Potter is one of the tallest Eagles heading to Rio, and she has used her size throughout her career in establishing herself as a force to be reckoned with in both 15s and the Olympic sport of Rugby Sevens. As a forward in 15s, Potter can punish teams with ball in hand or in the breakdown area. Her tenacity - almost in spite of the smile - has led her to success in the dirty areas around the field, but it has also led to injury, as a spinal cord hyperflexion ahead of Women's Rugby World Cup 2010 in England kept Potter from her first World Cup. "Jill has been through a lot in her life, and in her rugby career," Head Coach Richie Walker said. "She is a real warrior and has great passion for the game. She trains hard, gives 100 percent all the time, is always positive, and does everything with a big smile." 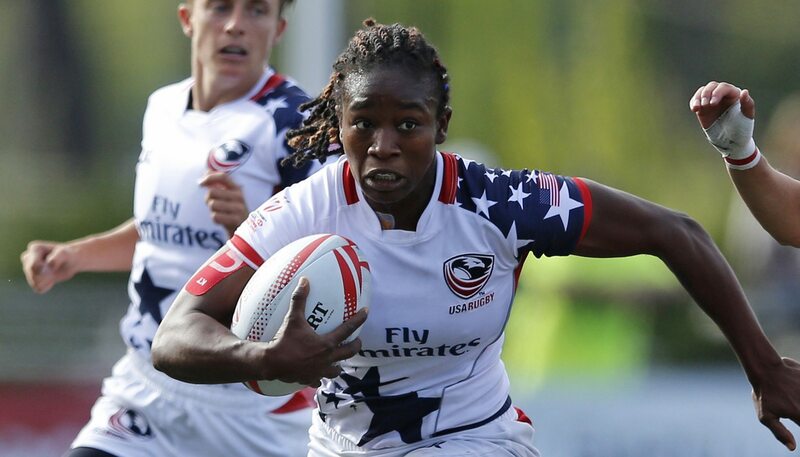 The "indestructible" Eagle recovered and went right back to the game, and earned a contract at the Olympic Training Center to train for Rugby Sevens full-time between 15s assemblies. When the HSBC World Rugby Women's Sevens Series was created, Potter was in the inaugural Series team, and won a bronze medal with her teammates at Rugby World Cup Sevens 2013 in Moscow. If it had not been for synovial sarcoma found around Women's Rugby World Cup 2014, Potter could have more than the 80 points she has scored on the Series. Despite missing more than a season to beat cancer, she still ranks in the top four in appearances for the national team, and will support and have the support of more than just her teammates in Rio de Janeiro. As rugby pedigrees go, there are not many alma maters that hold the kind of prestige University of California, Berkeley, does. But for Berkeley, Calif., native Kelly Griffin, a sporting career in basketball and soccer and an interest in mathematics brought her to University of California, Los Angeles, in 2004. It was there that she picked up the sport of rugby, and has worked to establish herself as a hard-working, hard-nosed grinder of a player that now leads the country in appearances on the Sevens Series. Entering the national team pathway with the AIG Women's Collegiate All-Americans, Griffin cemented herself as an Eagle candidate when she added Berkeley to her rugby-playing résumé with the All Blues. In 2011, an MVP selection during the team's Club 7s National Championship and a title-winning Women's Premier League season in which she led the competition in tries scored caught the eyes of the national team staff, and she was offered a residency contract at the Olympic Training Center in 2012. 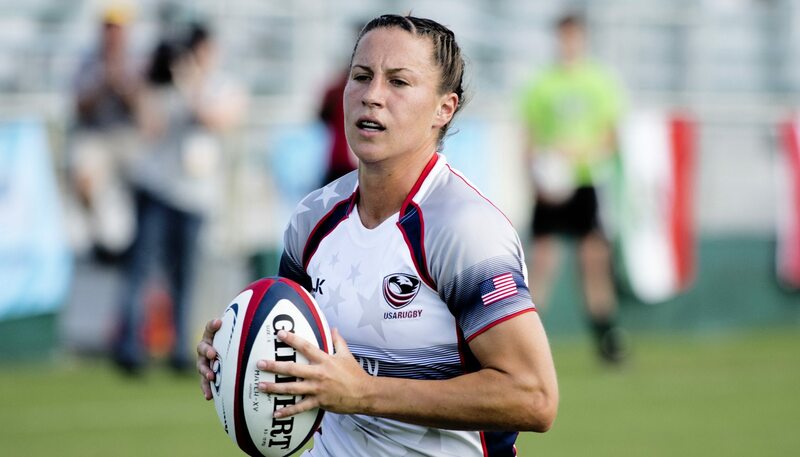 "'Grif' is one of the most consistent players for the USA Women's Sevens teams," Walker said. "She is another player that gives 100 all of the time. Her knowledge and experience is definitely going to help this team, and her leadership will be massive for us in Rio." Perhaps not the flashiest player on the field, Griffin is a stalwart of the defensive game, correctly lining up tackles with her own kind of finesse as well as ensuring her teammates are in line to contain the opposing attack. That is not to say she cannot do damage with ball in hand, especially as a provider once the gain line has been broken. Another Olympian to have won medals as an Eagle, Griffin will be looking to round out a collection of neckwear that features a Rugby World Cup Sevens 2013 bronze and Toronto 2015 Pan American Games silver when the Rugby Sevens competition at the Rio 2016 Olympic Summer Games kicks off Aug. 6. One hotbed of rugby not hyped to the level of northern California or Utah is the state of Minnesota, which constantly produces National Championship contenders in the senior club game. The adult teams are beneficiaries of the state's vibrant youth product, and at least two of those products will be heading to the Rio 2016 Olympic Summer Games. Kathryn Johnson is a rugby player by nature, and an important cog in Richie Walker's team. A standout at Hopkins High School, the now-24-year-old played her way onto the AIG Women's Junior All-Americans in 2010 and 2011 - alongside Rio teammates Bui Baravilala and Joanne Fa'avesi - before she started Youngbloodz, a sevens-specific club in Minneapolis in 2012. A third-place finish at that year's Club 7s strengthened Johnson's standing in then-Eagles coach Ric Suggitt's short list, and her play across both forms of the game finally earned a contract in early 2014. "'KJ' is one of the most experienced players we have on this team," Walker said. "She has a great rugby mind and is a player that can produce a lot of different looks on the field. She plays the game with everything she has, and is a great attacker and defender." Actually, Johnson proved herself on the international stage before heading to the Olympic Training Center, debuting for the Eagles on the Women's Sevens Series at the beginning of the 2013-14 season. At 5-foot-10 and able to kick as well as pass, she gave an experienced team even more stability when she took the field. Never the glory hunter, Johnson has scored just seven tries in 10 Series stops, yet has the Rugby World Cup Sevens 2013 bronze and 2015 Pan Am silver medals to show for it. Having left the Olympic Training Center following the first stop of the 2015-16 season, Johnson played for all-star teams at several sevens tournaments before a spring recall to Richie Walker's crew in southern California, where she was named to the final touring side of the year. One of six athletes in the Olympic squad 25 years of age or younger, Johnson brings the experience of a veteran to Team USA. During an accolade-laden youth and collegiate career playing ice hockey and soccer - from Eagle River, Alaska, to Madison, Wisc. - one would forgive Alev Kelter for having discounted a Team USA selection as part of a Rugby Sevens team. When the on-ice defenseman and footy midfielder heard from the Eagles head coach after missing out on Team USA's Sochi 2014 hockey team just two years from Rio, however, she did not hesitate to fly out for a tryout. Lorrie Clifford had suggested Kelter as an athletic, multi-sport stud to the coaching staff during a crossover outreach period, and the 5-foot-7 powerhouse immediately stood out from the rest of the crop. The "raw" ability seen in 2014 has blossomed into technical ability that has kept her in every Eagles squad since she joined the residency program that winter. "Alev has really come a long way in rugby in the short amount of time she has been playing the game," Walker said. "She is a real threat on attack and has proven that during the Sevens Series. She adds a different dynamic to our team, which fits well with the style of play." In 13 tournaments, Kelter has surpassed all but Lauren Doyle and Victoria Folayan in the all-time U.S. points-scorers table, scoring three points per game. Even if her line-breaks and seeing-eye offloads to teammates in contact were not as effective as they are, she would still be 11th in points scored having successfully kicked 35 conversions and a penalty goal in 63 matches. Kicking on from the U.S.'s qualification campaign at the 2015 NACRA Sevens Championships last June, where she was a stabling presence around debutantes like Carmen Farmer and Richelle Stephens, Kelter wore the Team USA jersey in a silver-medal performance at the Pan Am Games. She will look to add to her Team USA scoring tally in Rio after posting 53 points in Toronto. The island nations of Fiji, Samoa, and Tonga in the Pacific Ocean churn out rugby players year after year. Fertile playing surfaces, warm weather year-round, and a natural body of water for recovery purposes are just a few of the luxuries afforded to the Pacific Islands, and Hawaii is the United States' representative. Bui Baravilala hails from the capital city of the 50th state, and has gained a wealth of rugby knowledge from a rugby-playing family. Introducing organized rugby into some of the high school curriculums in Hawaii allowed Baravilala's father, Etu, to pass on his experiences with the game to the area's youth. Bui, a basketball and track athlete at Radford, was one of the first student-athletes in the program, and eventually found her way out to Las Vegas with a local club team to compete in a sevens tournament in 2010. "'Bui' is a natural when it comes to rugby," Walker said. "She comes from a rugby family and culture and it shows in her play as she leads with her actions on the field. She is one of our playmakers and can really help create opportunities for the team on both sides of the ball." Baravilala was noticed by the Eagles' head coach almost immediately, and began attending national team camps before signing on as one of the first residency athletes at the Olympic Training Center in 2012. Playing in the half backs in both 15s and Rugby Sevens, she is tasked with fulfilling a pivotal role in any game-day squad, and has proved her worth in selections for Rugby World Cup Sevens 2013 - though she missed the tournament due to injury - Women's Rugby World Cup 2014, and last year's Pan Am Games. Still just 25 years young, Baravilala took a short period of time away from the game in the past couple years, but came back with a renewed focus leading into the 2014 World Cup in Paris. Team USA's Hawaiian star is fourth all-time in points scored for the U.S. on the Series, and has played in at least three fewer events than those ahead of her. 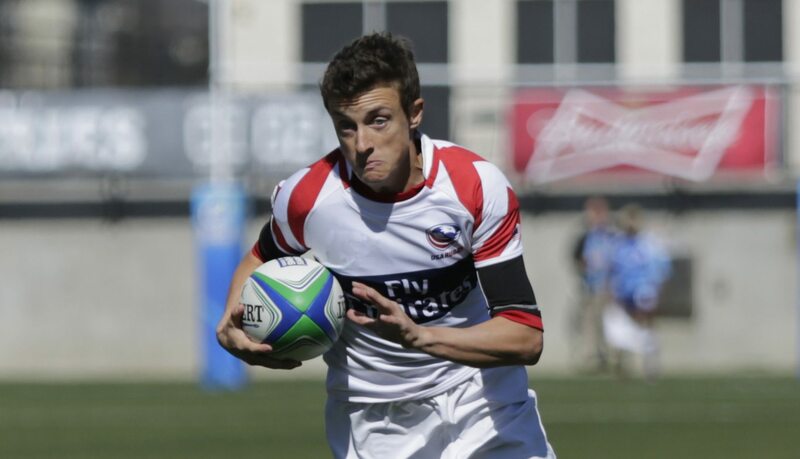 One of the greatest threats the Eagles have had on the Sevens Series each year is pace; speed to beat defenders, catch attackers, and make use of the space on the field during a Rugby Sevens game. Speed alone does not score tries, however, something Lauren Doyle has found a way to work around since her beginnings in the newest Olympic sport. A five-sport student-athlete in high school at Macon Meridian, Doyle was more than a track standout. She was so impressive, in fact, that the rugby coach at Eastern Illinois University wanted her for the 15-a-side team right out of high school. After her first three years on the team in a varsity setup, she began to run sprints for the track team, maintaining her running form. It was around that time that Doyle found the short-form version of the game, as well, and earned a residency contract in Chula Vista. "Lauren is a great player," Walker said. "She attacks really well, her defense is solid, and she is constantly improving on all areas of her game. She is back to where she needs to be and is going to help us get to where we need to be in the tournament. You can always rely on Lauren to empty the tank in every game." Doyle's international career began in late 2012 in Dubai, United Arab Emirates - same as the Series. The Eagles won the Bowl and Doyle scored her first try in just her fourth match. 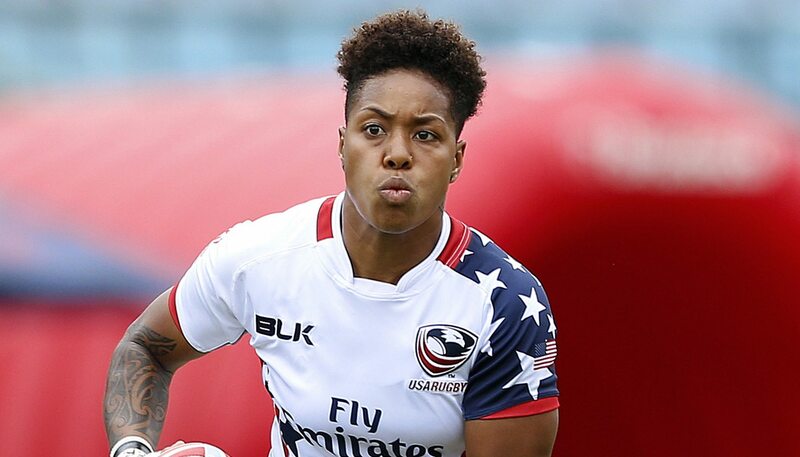 Since then she has complemented the high-flying Victoria Folayan in U.S. attacks to reach second in the country's list of top try-scorers, finding her place in the team as a "finisher." The quiet speedster has been injured of late, however, playing sparingly in two of this year's five Series stops. It is easy to keep track of who scores the tries, but one stat seldom tracked consistently is tries impeded. Doyle's No. 6 would most certainly be common on that sheet, as the Boody, Ill., native puts the team first when emptying the tank. As she has learned more about the game, her statistics - and the team's fortunes - have improved. Though rugby has been growing in popularity exponentially throughout the better part of a decade, now-adults had varying degrees of exposure to one of the most popular international games prior to attending college. A multi-sport student-athlete in high school in central Florida, Victoria Folayan played four sports - none of them rugby - and was an academic all-star to boot. That allowed her to attend Stanford University, where she would win two National Championships with the rugby team. Folayan's unique combination of pace and power was a perfect storm of success at the collegiate level, and it translated on the international stage quite quickly. From a debut at the first tournament of the inaugural Series, 'Vix' - a necessary shortening of Victoria when considering the speed at which she could run past a teammate - has kept a rate of nearly four tries per stop, and almost one per match, to nail down a top-five spot in the Series' all-time try-scoring standings. "'Vix' is a really strong runner and is very hard to stop," Walker said. "She is another player with a lot of experience and is going to be a real asset to the team in Rio." Injuries have kept Folayan from the same kind of ironman streak Kelly Griffin enjoyed through to the 2015-16 Series, but, when called upon, she has been able to trouble defenses. She has fit into several playing systems under multiple coaches, and can turn an attack on its head with a single fend. Even when the likes of fellow speedsters Doyle, Jessica Javelet, and Kristen Thomas offered new-look options out wide, Folayan's drive, experience, and know-how have kept her in the squad. Folayan was the first American to be selected to a Women's Sevens Series Dream Team, joining the likes of Australian playmaker Charlotte Caslick and Canadian captain Jen Kish in the Dubai best-seven at the beginning of the 2014-15 season. She scored four tries for the U.S. at Rugby World Cup Sevens 2013 to win a bronze medal, but missed out on last year's Pan Am Games. Starting a rugby career at the age of 31 may be late for some, but for natural athletes with the competitiveness and desire to achieve, it is never too late. Carmen Farmer is one of those athletes, having only picked up the game in 2012. Though she admits she could be a mother to some of the young women on the U.S. team, she has earned the right to call herself an Olympian alongside 11 other Eagles. As Men's Head Coach Mike Friday has said, it is not about playing 15s or sevens - it is about playing rugby. Learning the nuances of the game takes time, and there is no reason to specialize in one code over another. So when Farmer returned from France and Women's Rugby World Cup 2014, her eyes turned towards Rio and the Olympic form of the game. "Carmen is a real competitor," Walker said. 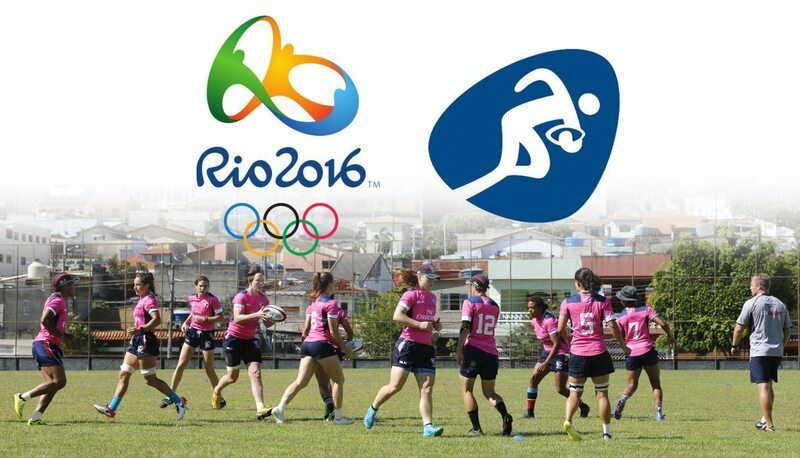 "She works extremely hard and has really grown into the sevens game. She is continuing to improve and I think the best is yet to come from her in Rio." 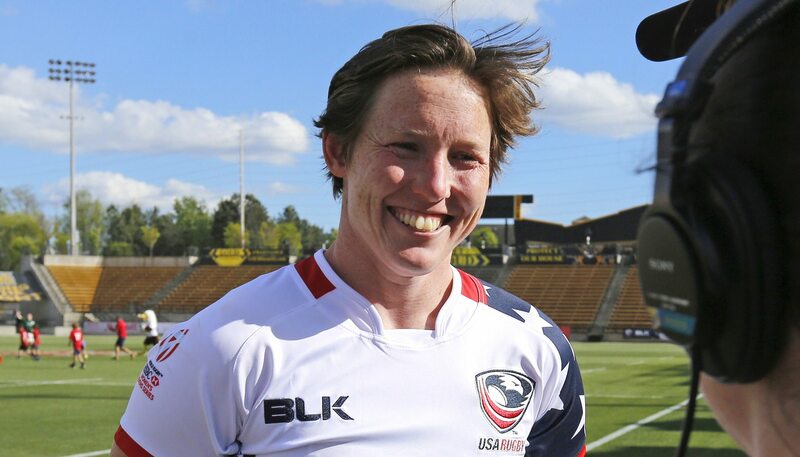 Farmer joined the residency program at the Olympic Training Center in early 2015, and played her way into the 2015 NACRA Sevens Championship-winning team by June. Separate tours with the development Falcons preceded her selection to a Series team, and she made two appearances at the tail end of the 2015-16 season. Built in a similar vein to Jillion Potter - as well as having that international 15s background - Farmer, at 6-foot-1, has shown an aptitude for restarts and winning ball in the contact area, perhaps two of the most critical contests in a Rugby Sevens match. In Brazil, she could be a game-changer if defenses focus on some of Team USA's other threats. 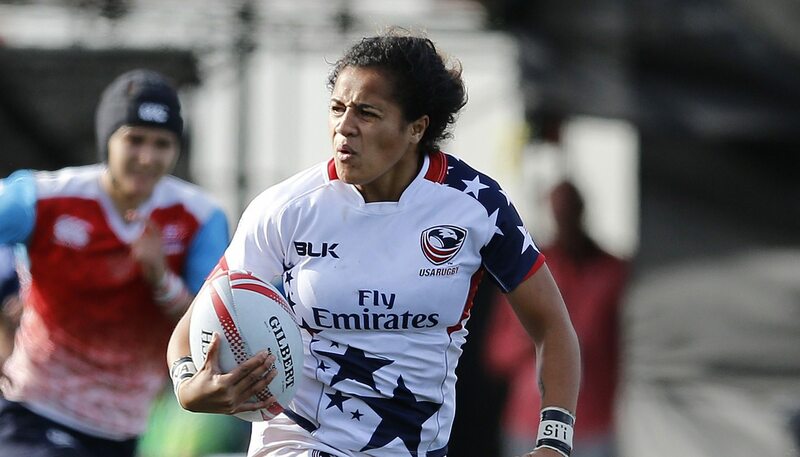 It is almost a surprise the Fa'avesi name has not been on an Eagles jersey until Joanne Fa'avesi made her Women's Sevens Series debut in 2014. She is the youngest of seven in a rugby-playing family, after all, and hails from a dense area in terms of rugby numbers - northern California. After winning a high school championship in Sacramento, Fa'avesi was selected to join the AIG Women's Junior All-Americans at the 2011 Women's U20s Nations Cup alongside future senior international teammates Bui Baravilala and Kathryn Johnson. Knowing she needed to keep playing high-level rugby if she wanted to continue progressing on to the Eagles, she joined Sacramento Amazons, a local senior club with the talent to challenge her aspirations. "'Nana' has been training really hard and has been improving all the way to her selection to the team," Walker said. "She has a strong attacking style and is a great defender, which will be of real value to us on the field." Four years later, Fa'avesi caught the eyes of the Eagles coach while with a travel team, and earned selection to the next Series tournament. With a full complement of the necessary rugby skills, she is a powerhouse of force in the tackle, taking her opponent to ground in a way that allows her or teammates to poach quickly. The tackled player also feels the physical effects of the contact, leaving a Fa'avesi impression for the remainder of the game. 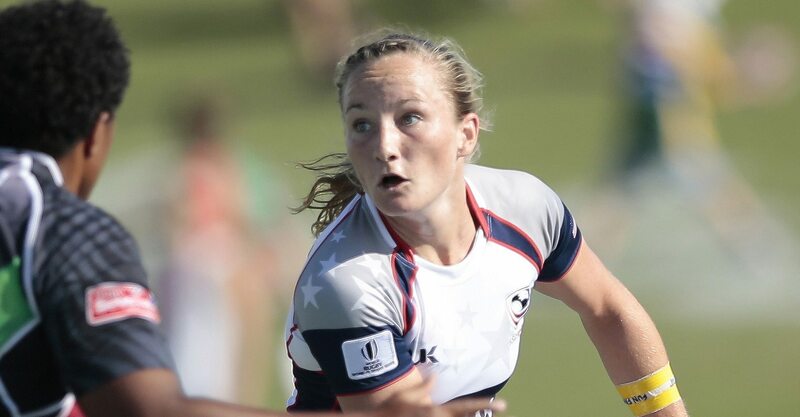 'Nana' is one of five players in the Team USA Olympic squad that competed in the 2015 NACRA Sevens Championships - where the U.S. qualified for Rio - and Toronto 2015 Pan Am Games (she recorded two tries at the latter tournament to go along with her Series total of five). The journey will be completed in less than a month when the inaugural Rugby Sevens competition at an Olympic Games gets underway. The youngest rugby representative on Team USA headed to Brazil is near the top when it comes to playing experience. Nineteen-year-old Richelle Stephens first joined a team when she was in eighth grade, and has stuck with it to receive the call from several national team coaches for senior selection. A four-year letterman at Fallbrook High School in southern California, Stephens traded in a Warriors jersey every once in a while when the Eagles wanted to have her out at the nearby Olympic Training Center. A relative outsider to the established Series team that traveled the world, the high school student-athlete did what she does best: play rugby. Her ability to read the game and put the ball on a string to her teammates, not to mention standing tall in the face of runs from a Kelly Griffin or a Jillion Potter, kept her in contention for selection as a teenager. "Richelle is our youngest player and, at 19, is still learning a lot," Walker said. "I found her five years ago at Fallbrook High School and have been working on and off with her ever since. She is really mature for her age and that has helped her training and playing. She works really hard and is very passionate about rugby. She is going to help this team tremendously, and I am looking forward to watching her play." 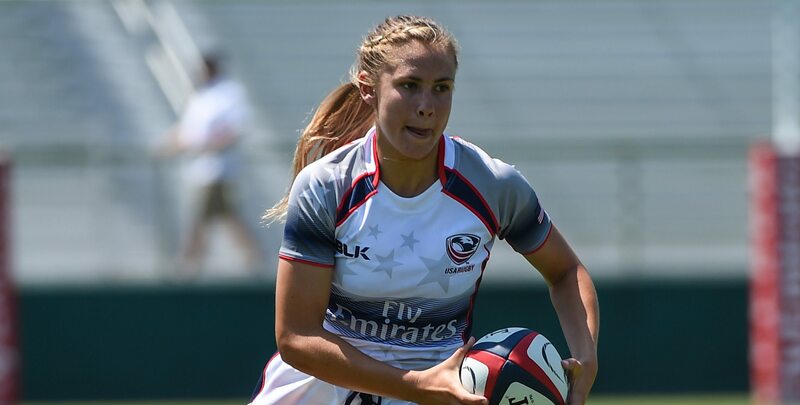 One of the inaugural Girls High School All-Americans powered by ATAVUS, Stephens was selected to Team USA's Nanjing 2014 Summer Youth Olympic Games side for Rugby Sevens' first peek at a multi-sport event. 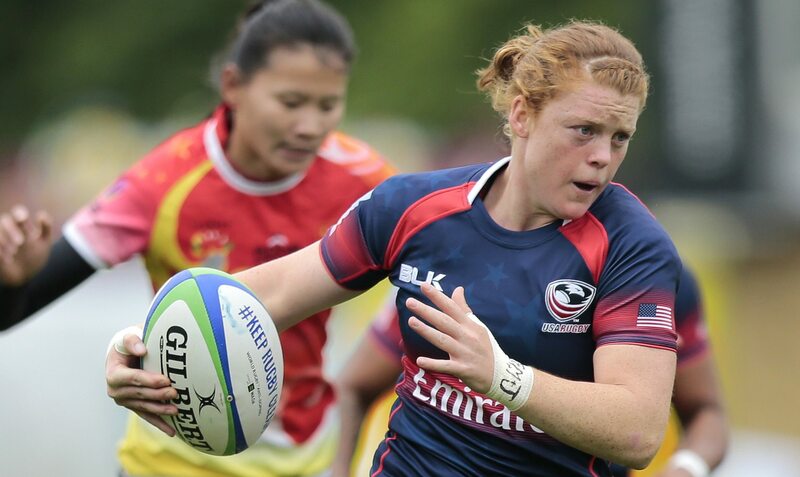 Though the U.S. did not reach the podium at that particular tournament, Stephens' performance propelled her to Eagles selections beginning with the 2015 NACRA Sevens Championships and Toronto 2015 Pan Am Games. Following the whirlwind summer up and down the east coast with the national team, and graduation from high school, Stephens put off full-time attendance at Lindenwood University to focus on her chances at Rio. She was selected to her first Series stop in Dubai, forming a one-two punch with Bui Baravilala in the playmaking position. She has scored five tries and fills in on conversion duty when the need arises, accumulating 37 points in four tournaments. Carmen Farmer and Stephens are the only two Eagles set to make a Brazil debut, as the remaining 10 players in the squad have played in Saõ Paulo on the Series. Determination is a sought-after trait in Olympians. Some athletes receive the benefit of funds or geographic location when it comes to reaching heights in their respective sports. For Ryan Carlyle, there was a determination to not just be good at one sport, but several. From the southern tip of New York, Carlyle was a high school standout in indoor track, basketball, soccer, and softball, earning a place on the softball team at University of South Carolina, where she also played club soccer. On top of the team sports, Carlyle also competed as a bodybuilder and figure competitor, and did not take up rugby until she reached the South Carolina capital. Once she did, she was almost immediately invited to a national team camp, then the residency program at the Olympic Training Center. 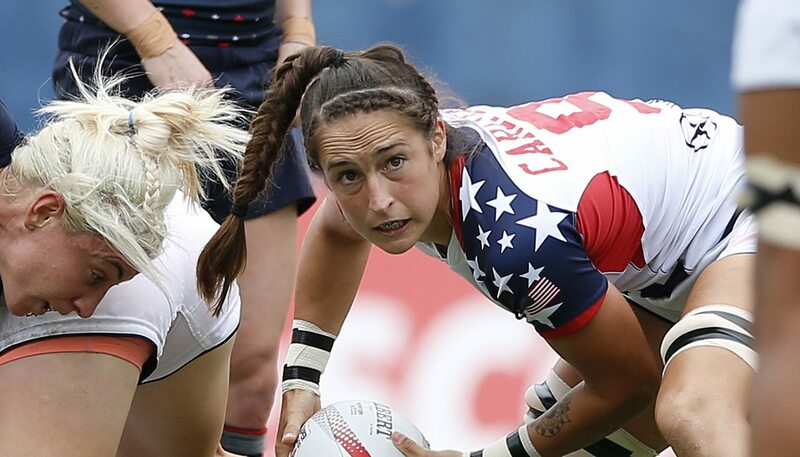 Between receiving her Bachelor's in 2011 and a Master's in 2014, Carlyle won bronze with the Eagles at Rugby World Cup Sevens 2013 and pushed for a spot on the Series-touring team. She made her debut at the home tournament in Houston in 2013. "Ryan has shown a lot of dedication to her fitness, strength, and training, and ultimately her hard work earned her selection to the team," Walker said. "She is already valuable to the team and is constantly improving as a rugby player. She is going to a real contributor and force on this team in Rio." Carlyle took some time away from the Olympic Training Center in the past couple years to help grow the game of rugby with ATAVUS, working as the organization's marketing manager, and play club ball with Seattle Saracens. She was a part of the 2015 Club 15s National Champions and the 2015 Club 7s runner-ups, and continued to raise the eyebrows of the Eagles' coaching staff. She returned to the OTC during the 2015-16 Series, and was selected to the final four stops. Carlyle's game is well-suited for the set pieces, usually first to a wide kick on a restart and lifted in the lineout, explaining the zero in her points tally in five tournaments. She was a try-scorer at the 2013 World Cup, and has been a part of numerous tries on the Series. Some aspects of other sports can translate well to rugby, like the spacing in basketball or soccer and the physical contact of American football. That does not always mean athletes from the other sports will have an easier time transitioning to rugby, but Jessica Javelet sure applied her skill set in a positive way. At University of Louisville she was a four-year field hockey player, named an All-American and Academic All-American three times each. Also in consideration for NCAA Woman of the Year as an undergraduate, Javelet took her talents across the pond for a six-month expedition in professional field hockey. She came back to coach field hockey at St. Joseph's University, and set her sights on the sport of American football, where she won two Women's Football Alliance Championships in two seasons. "'JJ' is a very exciting player and is ready to showcase her stuff in Rio," Walker said. "She has really improved during this last cycle, which is a credit to her willingness to learn. She is going to be a handful for other teams to deal with and she will be constantly challenging opposition." Javelet saw another opportunity to play a contact sport in the game of Rugby Sevens, and proved to Eagles coaches that she could hang without the pads at 5-foot-6 and less than 150 pounds. Her main asset being speed, Javelet's history with football and other field sports meant she offered something different than Lauren Doyle and Victoria Folayan. 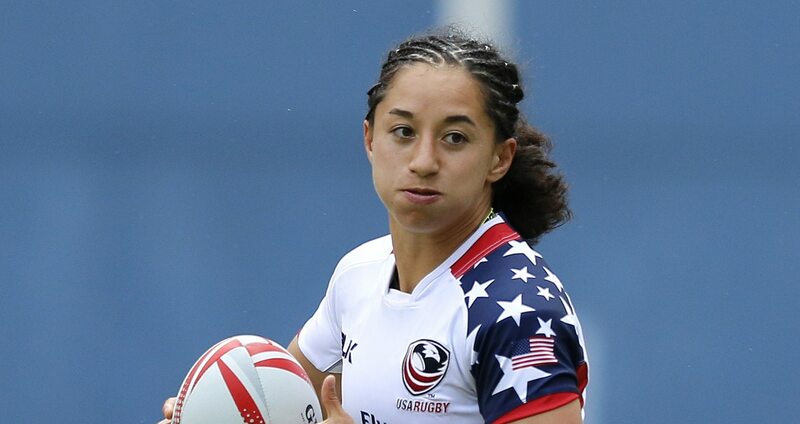 Her first Series tournament - on U.S. soil at Atlanta 7s - was more than just a coming-out party; she scored seven tries in four matches as the Eagles took the Plate, all just five weeks after she first picked up a rugby ball. A try-scoring machine, Javelet has worked on adjusting some of the other traits in her locker, slotting in at scrum half throughout the past season to keep defenses honest around the breakdown. She is also not afraid of taking contact, but prefers to slip through the gaps and find ways to support teammates for the betterment of the team.